Putting in some time to research your interviewer will give you more chances at connecting with them in your interview. If you know their name, research their social media profile (Linkedin, Facebook, Twitter etc.). Look at their experience, job title, types of connections and interactions they have on their social media profiles and use this information to plan your approach for the interview. 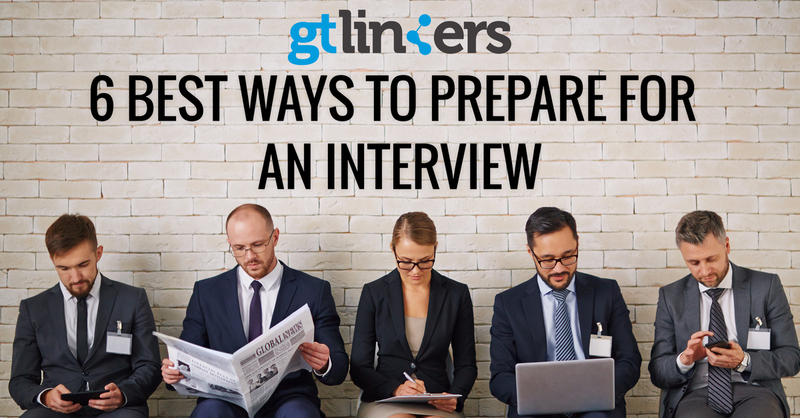 Knowing the interviewer beforehand will also give you more confidence in the actual face-to-face interview. Researching a company before an interview has become an expectation in our information age, with information so easily accessible there are no excuses not to do your homework beforehand. Follow and like the company on social media sites to see their latest updates. Use search engines to find out information about the company´s products and services, as well as their own website to gain insight into the organisation´s culture, new projects and news. Use this knowledge to prepare suitable examples of your work that matches the company´s priorities, as employers look beyond candidates just having the necessary skills; you should fit in with the company culture. Not asking questions in an interview shows disinterest, asking the wrong questions may cost you the job. However, asking the right questions is important for both candidate and interviewer. Not only will it help you to visualize your potential place in that company, it will also reveal what the company is looking for in you. Use the interview to find out as much as possible about the role, company and culture to assess whether it is the right opportunity for you. This question will reveal whether the position has adapted to technological and industry changes, while also showing a positive attitude to change. How have predecessors been successful in this job role? The answer to this question shows what the employer is looking for, allowing you to adapt your examples to fit the mentioned qualities. What consists of a typical day? This will allow you to visualize yourself in that job role, for you to decide if it is the right opportunity for you. What constitutes as success in this team? With the answer to this question, you can see what the company’s expectations are from its employees and gain insight into the culture and values to compare them with your own. Practicing your interview skills will help reduce stress during your actual interview, and will allow you to focus on connecting with your interviewer rather than struggling to come up with answers. The more familiar you are with the questions you’ll be asked, the better prepared you will be to be interviewed. Think of relevant examples that can describe your skills in real terms by using a situation-action-result structure; answer questions giving an example of a situation or challenge you faced, the action you took and how you implemented it, and the result of your work. This approach allows you to give a focused answer that not only displays your skills, but the impact you made. What is your primary selling point for this job? Why are you looking for a new challenge? The first impression you make on a potential employer is the most important one. The very first judgment an interviewer makes is going to be based on how you look and what you are wearing. Make sure you are dressed appropriately and look professional, regardless of the work environment – and if in doubt, dress up. When the workplace or the job is less formal, the dress code may be as well. If you’re not sure what to wear, it’s fine to check with the person scheduling the interview. There is no doubt that first impressions count, so make yours a professional one!